I’m not trying to knock anyone who lives or is trying to live a Zero Waste lifestyle. I’ve helped many families work toward that goal. I’m also a firm believer in researching what a radical lifestyle change is really like before diving right in. 1. Zero Waste Living does not require you to produce absolutely zero landfill or recycling bin items every day. For some people Zero Waste Living means reducing their weekly landfill trash by half or to a grocery size bag a week so it takes months to fill a big city garbage bin. For some peoples Zero Waste means reducing their household trash to the point where they put more items in their recycling bin than their trash bin. Some people think Zero Waste Living requires Plastic Free Living while others do not. And there are some Zero Waste families who believe in sending very few things to the recycling plant and as close to nothing at all to the landfill. How you go Zero Waste or Trash Free entirely up to you. 2. Going Trash Free doesn't not mean you automatically have to live Plastic Free. Many Zero Waste bloggers do, but personally (and I’m going to get into trouble with the Green Elite for saying this) I think plastic has its place, such as for medical and safety situations. For example, I swear by and recommend my plastic based power tool hearing protection (I recommend this kind) when I'm working on a DIY project and my musicians ear plugs (this is the exact pair I carry on my key chain at all times) when I'm rehearsing in our small rehearsal space and sometimes depending up the section I'm performing next to in marching band. Going without is zero waste but if you do and damage your hearing it is something that you don't get back - especially kids. As much as we don’t like it, some plastic packaging keeps food fresher longer and reduces food waste, such as this set of BPA free plastic food storage containers. I planned to replace my set with more glass food storage containers (I have this kind and want more because I like them) when they wore out but 10 years later, they are still wearing like iron, eliminating the need for plastic wrap or zipper baggies, keeping food waste to almost zero since they are see through, and allow us to use them on the go at parks that have zero glass policies. Feel free to tell me what I horrible non eco friendly person I am in the comments below. I saved our plastic for one week and this is the amount I sent to the landfill. 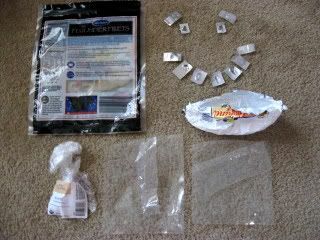 The other plastic items in my tally I reused. 3. You are going to forced to give up a lot of stuff you like to eat, have, and do and may not be happy about it. Some of these things may be easier and more desirable than others, like giving up a bad habit you’re trying to break (looking at you kettle chips!) 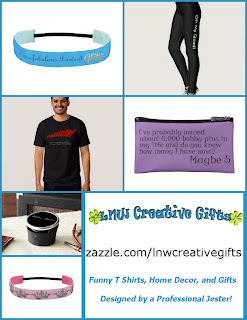 Some of these may be too difficult or expensive to switch over so you just drop it entirely. Finally there are things you should drop to become The Perfect and Militant Zero Waste Home because they are high waste things but they are necessary, useful, or make you happy. Are you really going to demand a family member give up necessary disposable medical needs for Zero Waste bragging rights? Hopefully not! Reducing your house hold waste does not have to be an either all or nothing situation. For example: I sew because punching people is frowned upon and I can alter and repair our clothing prolonging its life. So yay to the green and economical practice of Make Do and Mend. No matter how careful I am, some projects will generate more waste than I can fit into a Mason jar. I could give it up but I don’t want to (see punching people and make do and mend) – especially when it is an excellent side hustle. Keeping it real. 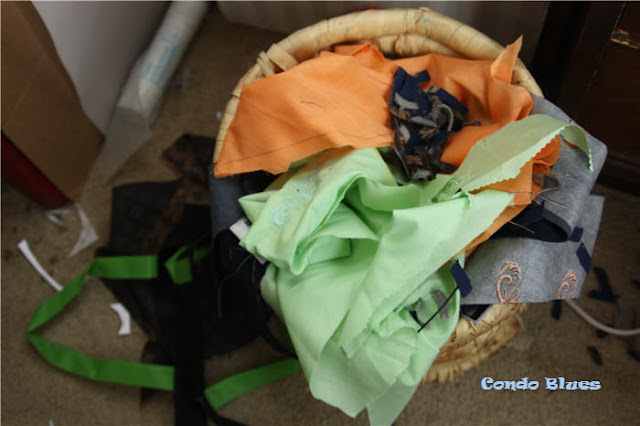 My trash can in the middle of drafting sewing patterns and building a big side hustle sewing and machine embroidery project. 4. 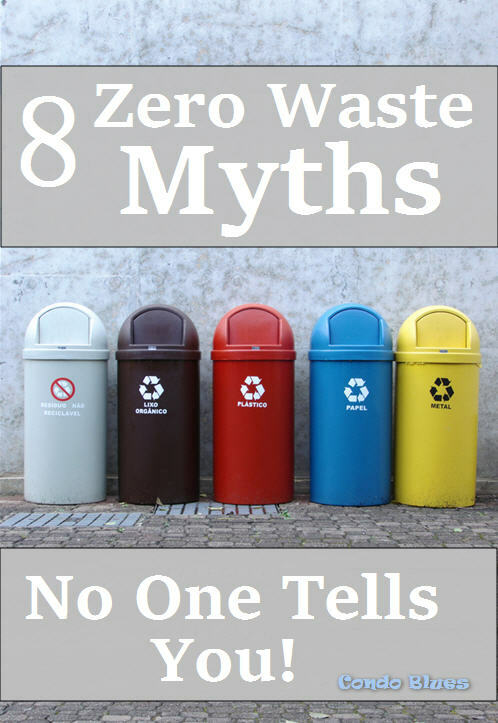 Most Zero Waste families have personal Zero Waste exceptions they do not tell you about. It’s all OK. The only thing is the above examples don’t make pretty Instagram stories but photos of compostable bamboo toothbrushes do. We don't eat bread everyday and it would go bad without my freezer. How do you keep bakery bread from drying out or getting freezer burn without a plastic bag? Seriously. I'm asking. I can't make this one work. The lower but not perfect waste solution is to use the empty bread bags for pet waste. 5. You don’t have to keep all of your trash in a jar or even keep it at all. The only reason many Trash Free people do is that they are bloggers/writers/give speeches and like to keep track of their progress or to use as a visual aid for blogging/social media/books/whatever. In fact, the amount of waste you produce will most likely fluctuate with the seasons – or at least mine does because I live where we have seasons. Sometimes all of them in the same week! This is the plastic I saved our plastic for a second week after the first Plastic Free Challenge Week. This is the amount I sent to the landfill and recycled. 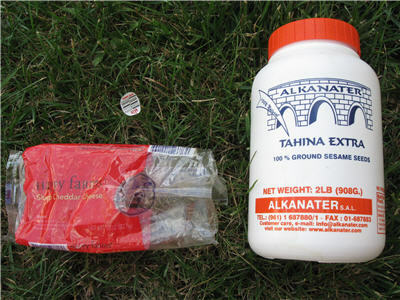 The other plastic items in my tally I reused. 6. Everything you do is going to take longer because you have to DIY it for every. single. thing. you. use. Possibly. 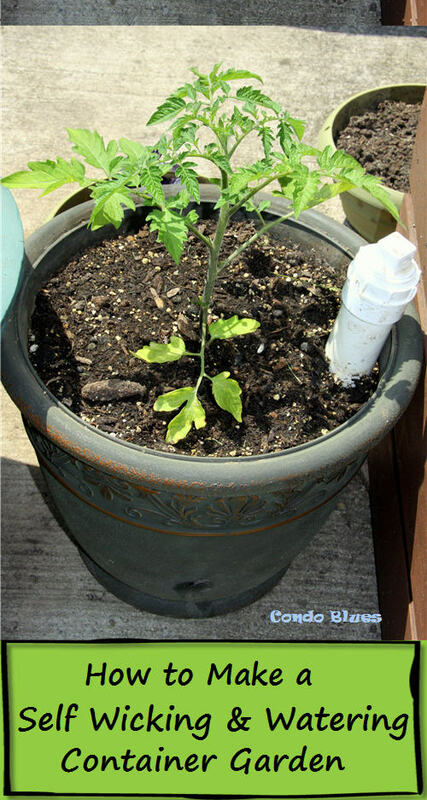 You don’t have to grow your own food and DIY all of your products but it probably is an easier way to live Trash Free. Cooking from scratch can be quick and frankly is a cheaper, healthier, less wasteful, and easier way to deal with my food allergy. How so? Five words: Stir fry and Instant Pot (learn more here). Or cooking can be incredibly involved like this fancy gourmet cookbook I like. It’s all up to you and how you want to do it. 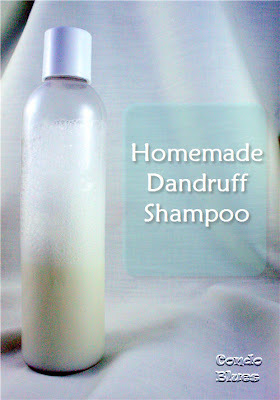 Making and using my DIY Dandruff Shampoo worked but was too time consuming to constantly make small amounts with ingredients that could quickly spoil. I eventually switched to this ready made pine tar shampoo made with more natural ingredients which worked better for me and how I live. 7. Sometimes dropping off items for donation and specialty recycling is a pain. I know Greenzillas scream that recycling isn’t the answer to our pollution problems. My husband and I keep our trash bin slim by trying to get an extra reuse out of everything within reason. To keep our sanity, we count recycling as a tool that helps us do that. For example instead of doing the “correct” thing of buying loads of dairy free butter with a waxy noncompostable paperish wrapper in obscenely small quantities, I buy the big 45 ounce plastic tub (see cooking from scratch and baking.) After riding around in the trunk of my car for a week or more, I finally remember to recycle it through the Gimmie 5 bin at Whole Paycheck, two to four times a year. It’s not a perfect solution but given a recycle it over trashing it option, I’ll take recycling and donating every time – even though it can be a pain to remember to do it. I'm not saying don't do it. I'm saying let's recognize that sometimes the trash can is more tempting than driving your stuff around town for drop off. 8. Shopping at bulk bin stores, farmer’s markets, and replacing everything you own with the special Zero Waste version is more expensive. Looks like it. Replacing reusable items you already have with the perfect eco friendly glass, metal, or wood versions seem like the opposite of Zero Waste living to me. Then again, I’m the girl the Greenzillas insisted couldn’t reduce her homes’ utility use using new habits, cheap DIYs, and the new non efficiently rated appliances that came with her condo. Spoiler alert: Not only did I prove them wrong but I beat my original 20% goal of lowering my home’s utility use to 32%. It just goes to show you there is more than one way to reach the same goal. An example of our expensive CSA vegetable share. 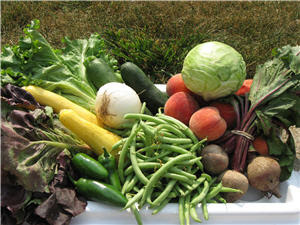 It was low waste and lovely to have fresh veg delivered to the porch every week but it only lasted during the summer. The half share you see in the above photo was way more than two vegetable lovers who cook from scratch could comfortably eat. We haven't bought another one. The best way to switch to a Low Waste, Trash Free, or Zero Waste lifestyle is to do it like dieting. The habits that that stick are adopted slowly and over time otherwise, just like binge dieting, it is too easy to crash and quit in frustration. The Perfect Green Living Life (trademark pending) doesn’t exist. Some green living practices or personal preferences may clash with other green practices or might be something you tried and isn’t right for you given where you live, family size, preferences, and a whole lot of other valid reasons. This isn’t an excuse not to try, it is the reality of trying.